Samsung is climbing aboard the smart speaker train, going head-to-head against rivals like Amazon, Google and Apple. According to the Wall Street Journal, the initiative is still in its early stages and has been codenamed Vega. The one thing known for sure is that Samsung’s smart speaker will be powered by Bixby. However, the voice assistant is apparently slowing things down for the project since its current iteration is still a work in progress. As a result, features, specs, and release timelines are yet to be decided. To recap, Samsung had launched Bixby alongside the Galaxy S8, touting it as one of the phone’s main highlights and dedicating an entire button to it. However, the AI didn’t support English voice commands when the device hit stores. The brand has since rolled it out in preview beta form, but is yet to announce when it’ll be complete. Samsung recently told the Korea Herald that this delay has been brought about by a lack of accumulation of big data. It’s a major issue since having access to scores of data is key to developing Bixby’s deep learning technology. Another reason why the entire process is taking more time than anticipated is because of a holdup in communication between Samsung’s US engineers and its Korean headquarters. A source claims that the former group is making efforts to develop the English version, but geographical and language barriers are slowing things down considerably. 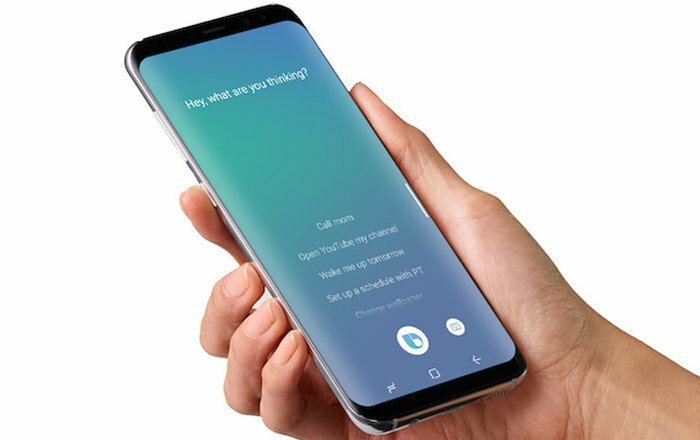 Industry watchers in South Korea predict that Bixby won’t be able to pick up English voice commands till fall 2017. This is pretty late considering the Galaxy S8 came out in March 2017.